Feels like 2017 started a week ago. But here we are in February 2017 with all new Gadgets & News. Different minds come up with new startup ideas every month. Some of this idea has ability to change our Smartphone habits. 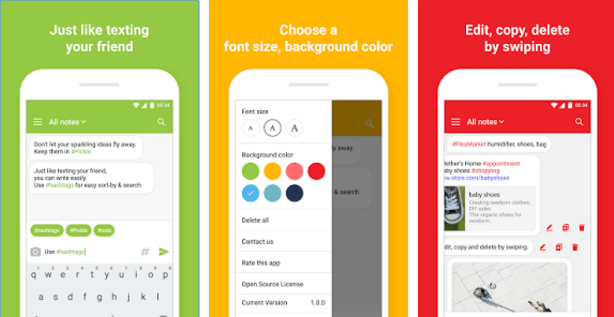 If you’re bored of using the same Android apps, it’s time to bring a change! Try new apps. So, here’s a set of Android apps for the month of February. 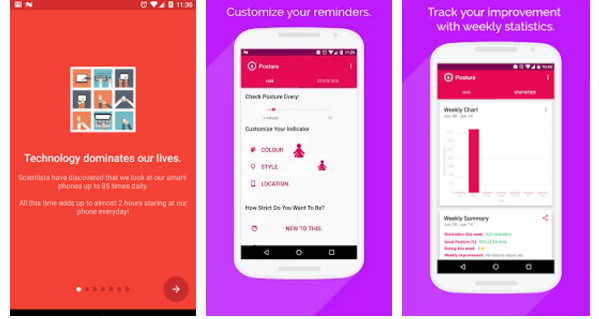 Some of these apps are productive while some add aesthetic appeal to your Android devices. Cornerfly is a really simple overlay app that creates the corner of the screen round. This provides an extra aesthetic appeal to the device. Most hardware cases of devices are designed with rounded corners but display itself has squared corners. This application will round your display corners to merge it with your case corners. 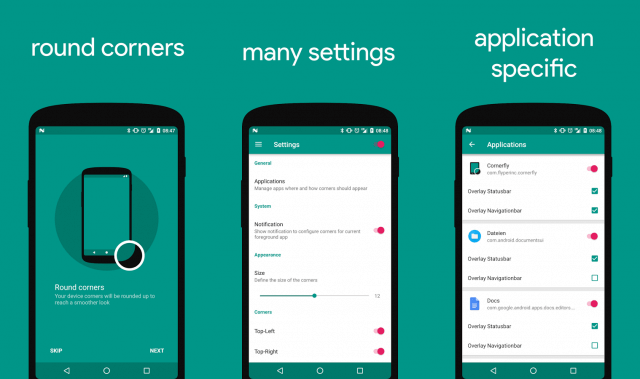 Cornerfly offers many settings for customization and you can configure it for each application. Smart Drawer uses an algorithm to organize and sort apps in your smartphone. It works on top of most launchers. You can replace your app drawer with this Smart Drawer. 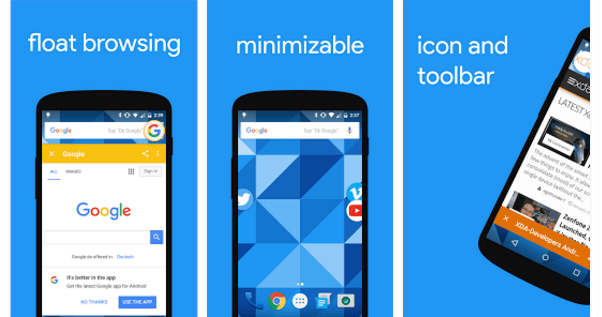 You won’t have to move your apps in folders, everything will be automatically done for you. It also provides an option to hide unwanted apps or to protect apps with fingerprint or PIN. You can restore app grid on Huawei and Xiaomi phones. You can also use gestures to open the app drawer from any app. Pickle is a note-taking app like no other. It converts note taking into a conversation. You can take a note and to organize them you can add hashtags. it has a fast and intuitive design and is super easy to learn and use. You can customize its theme, color of the texts and font size. Weather Wiz provides accurate weather forecasts based on your current location or any other place in the world. 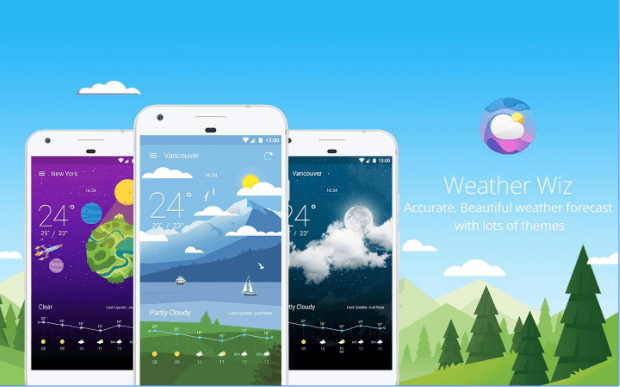 You can notice that this app looks like google weather app but is more in-depth. They use IBM’s weather data which are precise and updated in real-time. You can reply on this app to make plans based on the weather forecast. What is really attractive about this app is its looks. We, here at Devs-Lab use this app on daily basis. 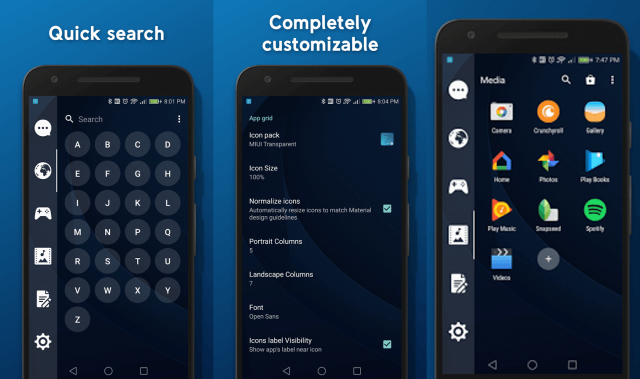 It also supports 2×1, 4×1, and 4×2 sized widget for your home screens. Well if you’re a student, this is a must-have app for you. 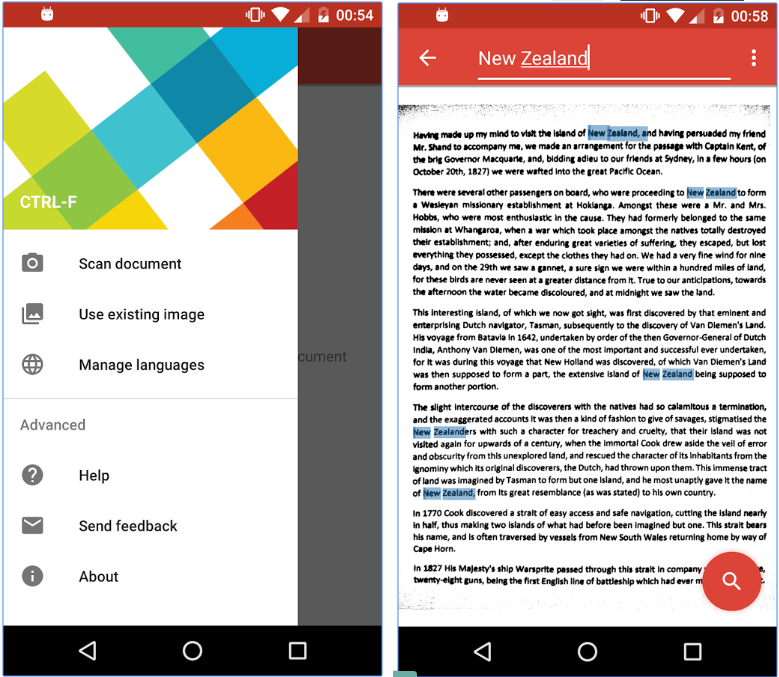 What this app lets you to do is to convert any photo of a written piece to a editable text format. This is done by there special algorithm. What this enables you to do is to search for words and edit them. This is really helpful if you have a lot of pages to search in. Also Read: Top 10 best Android apps for Rooted Android. App Cloner allows you to create 2 accounts in the app on your device. It has similar functionality like Paralle Space but this has a little advantage over it. This app essentially creates a duplicate app in your app list. 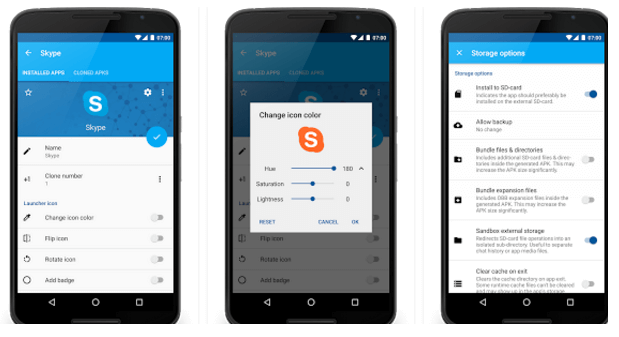 To differentiate between apps you can change its hue and add another name to it. Flyperlink is basically a web browser like no other. It allows you to do is open links in bubbles similar to the Facebook’s messenger app. This not only is faster but also improves your efficiency. You can browse whatever app you are using and this will load the page in the background. If you want to take a deeper look into the link, just tap the bubble and a full standalone browser will appear. It contains tab managing system. CTRL-F allows you to quickly search all types of printed texts: Books, magazines, user manuals, and everything else you can think of! To search a document, simply scan the page using your device’s camera. 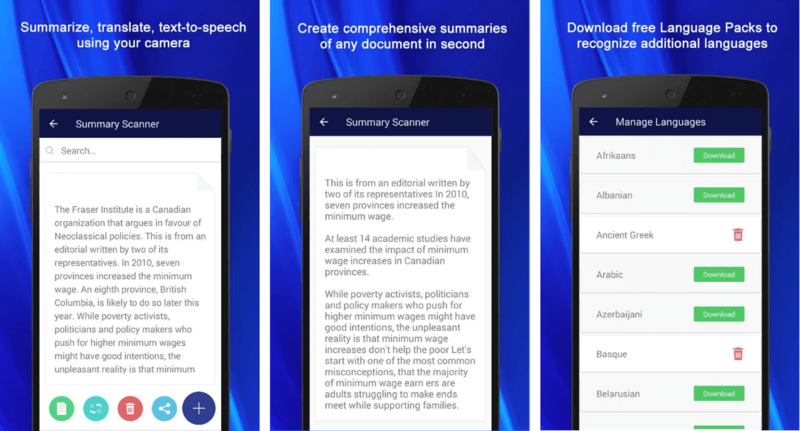 The app then analyses the document and you’ll be able to search within it after a few seconds, just like you would with a digital document and CTRL-F on a PC! Posture is a really clever app. It makes use of some of the sensors on your device in a way that makes your physical posture better. Based on your gyroscope, accelerator and camera data, it analyse that whether your posture is correct or not. If it’s not correct, the app will prompt you and helps you to avoid severe back and neck pain and possible injuries. Last on our list is an Icon pack. 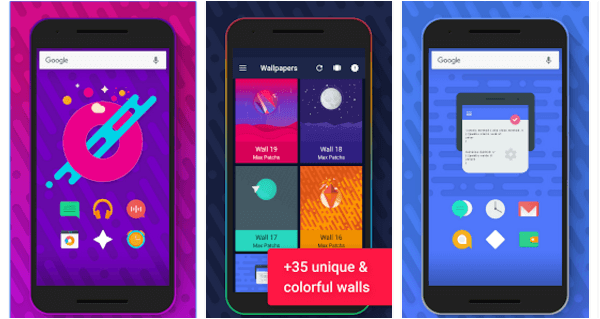 Ango icon pack is a collection of really colorful, shapeless icons. This can really brighten up any android device. They are really well hand-crafted, vector icons. Paired with provided wallpapers, they can really make any device look attractive. With this, we come to an end of best apps of February 2017. Best of February 2017, doesn’t mean these apps were released in February. It means you must try this app that you “might” be not knowing, this month. If you think I missed any app that deserves to be on this list, you can comment below. Also, share your views on using any of this. Make sure to share this with your friends so that they try this app in this month.